Also meets at 6.30pm meets on third Monday in May. Bro David Logan the Immediate Past Master of the Lodge presented a cheque for £1,500 to the Prostate Cancer Support Group at Swindon's Great Western Hospital on 1st December. The group, run by Samantha Richards is the only prostate support group in the Swindon area and patients and their partners are welcome to attend to discuss problems and concerns. The Group is very new and needs all the support it can get. 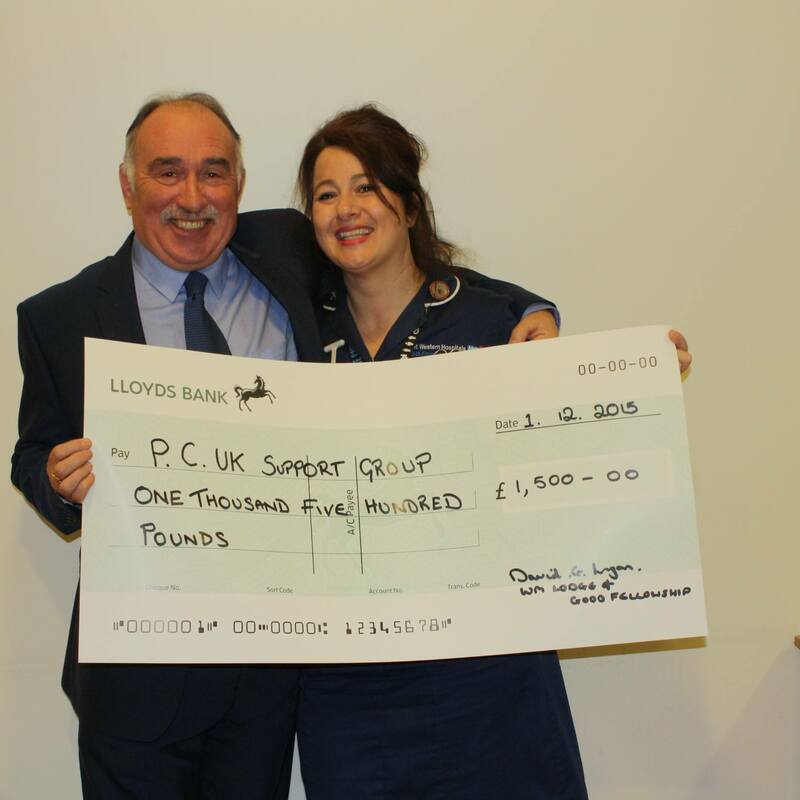 The money presented to the group was raised during David's year in office by raffles and collections at regular meetings and a wonderful Ladies Festival. This is your micro website, a page which is designed to contain information about your Lodge. It can show your Lodge calendar and your Lodge 'twitter' site.